Another bead giveaway has closed - thank you so much to everyone who entered! 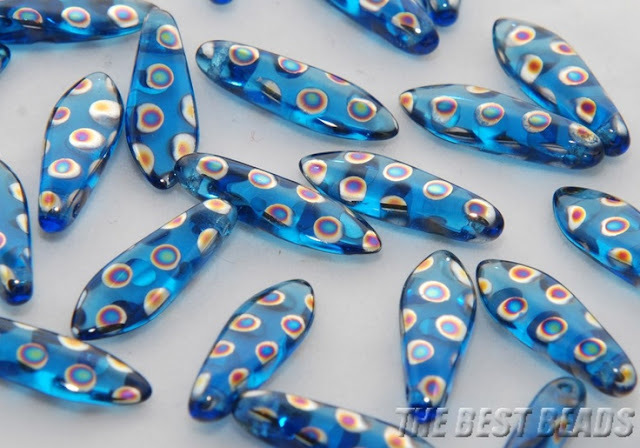 This was a fantastic giveaway sponsored by The Best Beads, featuring some totally gorgeous peacock bead shapes. I must say I'm a little jealous of our winner! What would you make with this fun mix? Happy beading! Following your creative instincts and creating new designs on the fly is a great way to stay productive and surprise yourself with new ideas. But planning out new projects in advance can pay off, too. I recently made a list of stitches that I had yet to share in the tutorials segment on Inspirational Beading, and as soon as I added Dutch spiral to the list, an idea started to form. 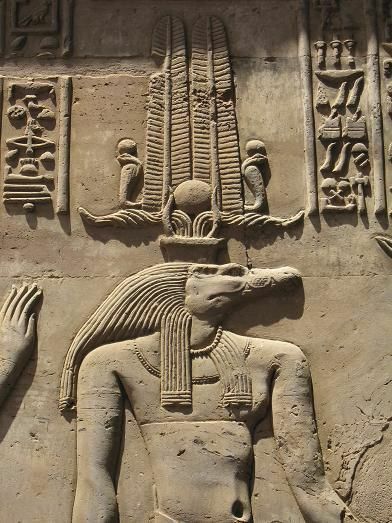 The combination of three bead types, and plenty of room for accents, seemed like the perfect place to start design inspired by the Egyptian crocodile god, Sobek. Although I’ve been sticking pretty close the the alphabet for the Egypt challenge so far, I couldn’t resist skipping ahead to get started on this necklace. I decided to use some of my mother of pearl chips to represent crocodile teeth, with greens and some black lined topaz for a background. After a few inches of spiral, I decided I didn’t like the green iris and topaz together, so I switched out the brown for a soft cream instead. As I worked with the new palette, I also realized that it wasn’t going to be enough. A few sharp and curved shells would have the fearsome look I wanted, but it needed something more. 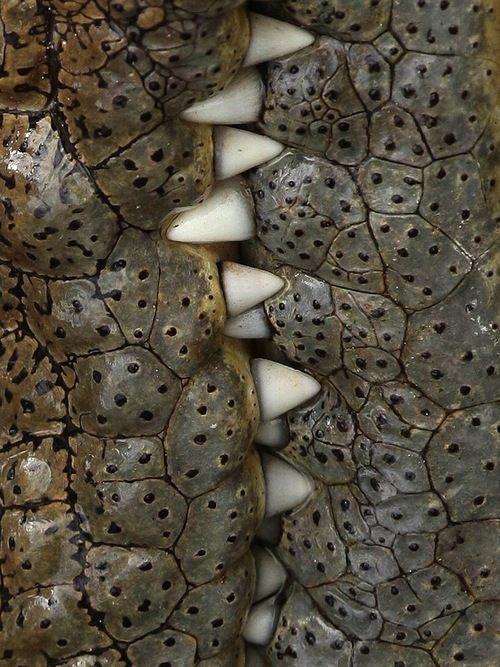 I took a look through some photos of real crocodiles, and a picture started to form - shells as scales. I got to work right away on a triangle pendant with embroidered shell chips, and everything fell into place. Sobek’s necklace turned out exactly as I had hoped. The shell fringe in the Dutch spiral has the toothy look that I wanted, the mix of greens and fish-belly white looks reptilian and scaly, and the pendant provides an anchor that helps it all to stand out. Of all the varieties of colors and finishes found in designer Czech glass beads, none are more enticing than the polka-dot of peacock. These iris spotted beads are a delight to look upon, and always add a splash of personality to any design. If you love the playful nature of peacock finish beads, this is your chance to experiment and play! Inspirational Beading sponsor The Best Beads has generously offered a delicious prize pack filled with peacock beads for one lucky winner. Included are red and black daggers, grey flowers, black leaves, and violet hearts, all with fantastic peacock finish. There are also five runner-up prizes of $10 and $5 gift cards to spend at The Best Beads - glass beads, buttons, and jewelry direct from the Czech Republic. For a chance to win all of the beads shown below, or one of five gift cards, head over to The Best Beads to check out their selection. 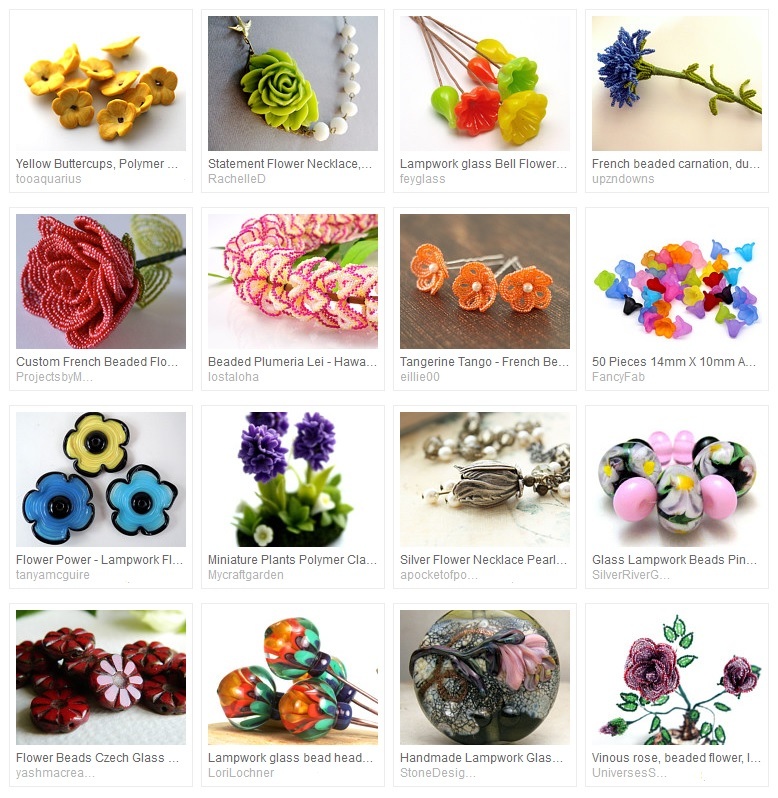 Then leave a comment on this post with the name of your favorite bead or button. Comments must be made here on the blog to qualify. Winners will be drawn at random on Saturday, March 30th. If you don’t have a Blogger profile with email contact enabled, please be sure to leave a contact link in your comment, so I can get in touch with you if you win! Incomplete entries will not be included in the draw. This giveaway is open to all international readers. Three years ago this month, I tried a new necklace design that is a definite favorite to this day. There is so much trial and error when it comes to trying out new beading techniques; so when something sticks, it’s a big moment. I was pretty impressed with how the design turned out at the time, but I had no idea how often it would come up again. The simple solution of stitching a front-drilled tagua slice to some St. Petersburg chain has become a go-to technique for all kinds of pendants. I love the way that the V-shaped beadwork provides just enough space for a pendant, and makes it easy to complement a focal with little fuss. Layering more than one pendant makes for even more possibilities. Often when I’m faced with a beading challenge that involves finding metal-free ways to use common materials, it doesn’t turn out as nice as I would like, but this necklace was a total success, that lead to many more design ideas. Do you have a favorite eureka moment in beading? I’ve been working on a little side project using a blue-green ombre palette, and it has me craving more blends. Ombre is by far one of my favorite trends of late, because it works with any color, shape, or material you can think of. If you’re not familiar with it, ombre is the gradual blending of two colors. Think polymer clay Skinner blends, or dip-dyed silk. It can be one color blending into black or white, or a neighboring hue on the color wheel. No matter which combinations are used, it’s always gorgeous. I started with a fun statement necklace using several shades of sea green, then added a dash of orange. A little lime to dance with the orange, and some browns to balance it all out, equals the perfect backdrop for colorful ombre jewelry. If you want to give ombre palettes a try, here are some fun projects and tutorials. Ombre - which comes from a romance word meaning "shaded" - is a big trend with DIY and fashion bloggers, but here are a few more ombre jewelry inspirations from fantastic jewelry artists. 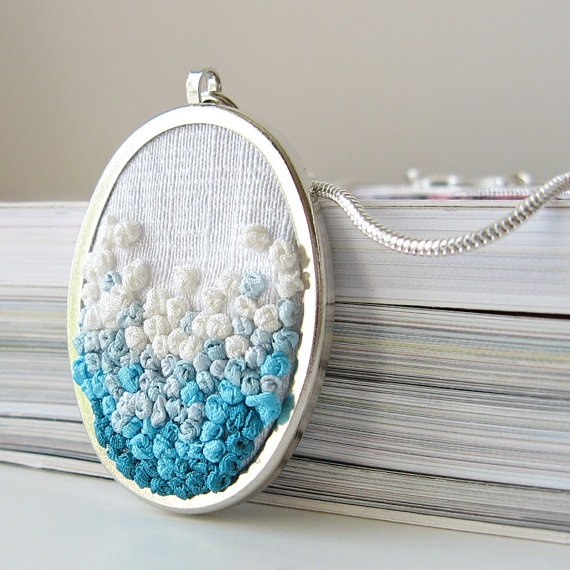 These pieces are great examples of how you can blend colors using your favorite materials, from seed beads to wire. Three or more colors is all you need - the more hues, the smoother the blend. Do you have a favorite variation of ombre? What types of beads do you use to create it? For the latest piece in my Egyptian Gods series, I took some inspiration from Horus the falcon. Although I do love the look of the Wedjat Eye, I didn’t want to go with something quite so obvious, and instead looked to the falcon itself for ideas on how to capture this deity in jewelry. The legends say that Horus’ eyes were the sun and the moon - the one that was plucked out by the usurper Set being the weaker moon. I decided I would try to recreate the look of real falcon eyes - shiny black orbs - each with colors representing those celestial bodies. Some druks and brick stitch would do the trick, but I didn’t want more than a pair of eyes. For the bulk of the necklace, I tried to recreate the look of falcon feathers, but with an Egyptian flair. I chose a palette of turquoise, red, and gold, along with some light beige and black for stripes. The falcon eyes made the perfect connectors between a fringed amulet and straps of matching St. Petersburg chain. Rather than use a striped pattern for the whole necklace, I left the ends entirely black, which brings a little balance to everything. This necklace turned out even better than I had hoped, with the exception of the druks, which didn’t quite translate into natural looking bird eyes. I do love the way their shape stands out against the amulet and chains, and I may keep the idea in mind for future constructions. Beads for Brains: 365 is a great example of creative determination. The best way to learn new beadwork stitches and styles is to try them! and often breathtaking inspirations for beading and photography. project ideas and gorgeous bead market pics. Laura Bracken makes some gorgeous jewelry, but she also has a knack for teaching. Every time she learns something new, she passes that information on through her blog. Laura Bracken Designs is a blog to follow. and she wants you to want to make stuff, too! all handmade by talented designers. Bead Origami is updated regularly with innovative beadwork and beaded beads, in amazing color palettes. Jewelry, crafts, photography, marketing, business…it’s all there with daily posts on Randomcreative. Rose has a great community and pool of resources that she shares to keep you entertained and inspired. Google Reader is still available until July 1st of this year, but now is as good a time as any to find a replacement for you favorite blog list. Blog Lovin’ is an excellent option if you like creative blogs. You can upload your entire Google Reader list, sort your blogs into groups, and set up email updates for those blogs you want to check in on instantly. What service are you moving to? With the season of renewal upon us, it’s the perfect time to take a look at new inspirations, unique ideas, and crafty opportunities. Not only is it time to shake off the gloom of winter and start fresh, but there are so many fantastic new products and projects appearing as well. Here are some of my favorite inspirations of late. If you’re a fan of DIY projects outside of beading, this Suitcase Cabinet project featured by Fine Craft Guild might be just the thing you need to spruce up your craft room. The original project is meant for a cute kitchen cubby, but just imagine the possibilities for storing and sorting supplies! I also love Everyday Inspired’s recent post on arranging oodles of framed photographs and portraits to enhance your décor. I love the collage look when it comes to wall art - my craft space is just one big mess of pasted and stapled treasures right now. These tips could apply to just about any style or situation, even my inspiration wall. If you love using Swarovski Elements and Beadalon in your designs, this is the perfect opportunity to show off your beading talents! The Crystal Glam 2013 jewelry design competition is now underway. The winning design will be displayed at Treasure during London Jewellery Week, and there’s a fabulous bead prize! Entries must be submitted by May 16th, 2013. For full details, check out the I-Beads Facebook page and contest FAQ. Speaking of London, the bloggers at The Bead Shop have compiled a list of ways to incorporate current trends into your jewelry designs. In Key Trends from London Fashion Week, they explain how to transform runway looks into ideas for color palettes and more. New bead innovations aren’t always compatible, but the designers and Fusion Beads have found a great way to combine the new Czech spike beads with Tilas, and our favorite leather wrap bracelet style in their Femme Fatale bracelet project. While you’re there, don’t forget to check out the 24 Carrot crystal earrings for a little Easter inspiration. The beady bloggers at Cousin Corp have invited some favorite jewelry designers to share their stories and inspirations for the next year. Check out the Cousin bead blog on Fridays to spot the beader of the week. Combine oodles of lovely round beads in your favorite colors to create a fabulous sculptural donut pendant, designed by Justyna of Eridhan Creations. Check out the full tutorial in parts one, two, and three. For a splash of spring color and some beady eye candy, check out Cindy’s beaded bead Easter egg earrings at Bead Origami. 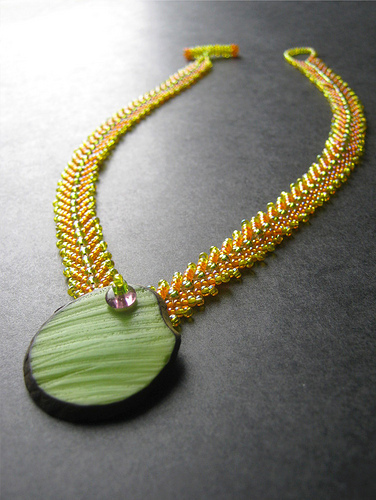 For an even bigger dose of color, the Proud Mary Necklace project at Artbeads.com really delivers. The combination of seed bead embroidery and gorgeous Czech glass buttons is definitely a win. And the best part? This project leaves the button shank intact - no snipping required. And last but not least, the amazing beaded flowers, trees, and floral sculptures of Oksana Konovalova will amaze and delight you! 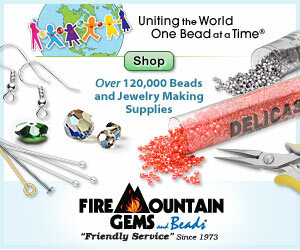 Check them out in the spotlight on Beads Magic. What are your favorite inspirations right now? Thank you so much to everyone who took part in this month's bead giveaway. We had a great turn out! With spring in mind, I asked what types of flowers you would use to fill a beaded garden; as always, your answers were very inspiring! Congratulations to Rosalie, whose comment was drawn at random for the spring mix giveaway. Rosalie's fantasy garden would be filled with flowers that bloom with beads. Like peyote stitch bezels, fringes and embellishments are one of the fantastic ways that seed beads can cross over into other types of jewelry design. Even if you’re not a die hard bead weaver, these techniques can add something extra to your designs. Branch and coral fringe are two versions of the same technique, and one of my personal favorites for creating unique pieces with lots of personality. By changing the colors, lengths, and patterns of your fringe, you can recreate the look of all manner of natural shapes - like feathers, pine boughs, and sea life. We’re going to take a look at the very basics of branch fringe and coraling, worked in threes. You can always adapt these fringes for longer lengths at each step, but threes create lush, uniform embellishment with no guesswork. For clarity, each component of the fringe is also grouped into threes - the base beadwork or trunk, the basic fringe or limbs, and extra fringes that we’ll call branches. Starting from an existing piece of beadwork, pick up any length of seed beads in multiples of three. This will make up the trunk portion of your fringe. 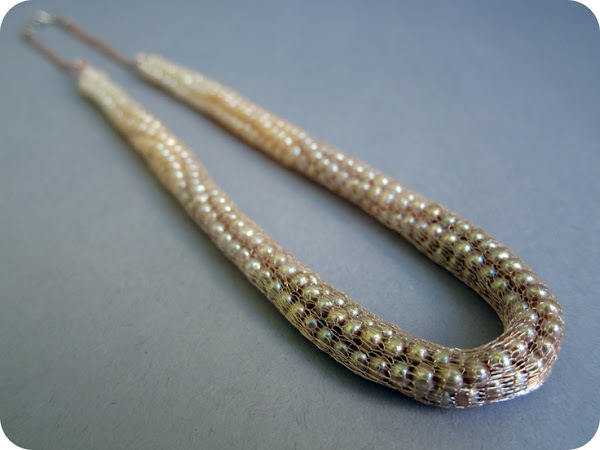 Next, pick up seed beads in multiples of three, to make the first limb. Add one more bead at the end. This will be the tip of the fringe. If you’re working with a specific pattern or color palette, remember that this second bead addition will appear separate from the trunk section. Skipping the last bead added, pass through all of the beads just picked up, plus the following three beads in the trunk. Pull your thread snug, and you’ve got the first limb of your fringe. 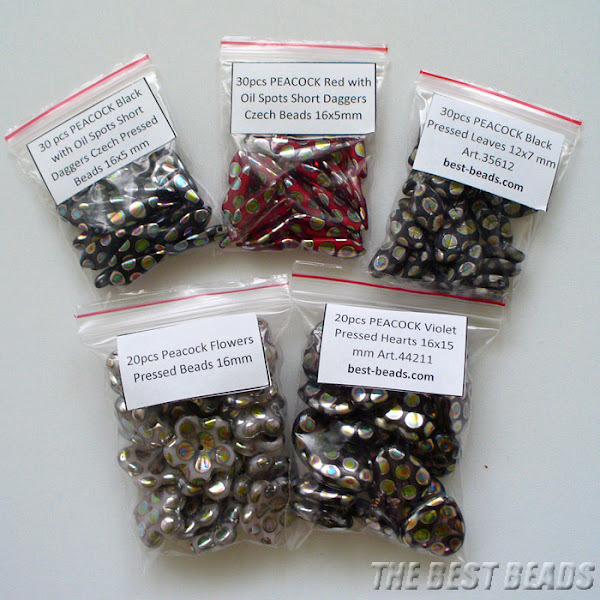 Pick up another group of three or more seed beads +1 and slide them down to the beadwork. Skip the last bead added, and pass back through all of the beads in the new branch, plus the next three beads in the trunk. The limbs and branches will rest every which way as you stitch. When a full fringe is complete, you can gently nudge them into the positions that you like - alternating from one side to the other, for example. For variation, you can increase or decrease the number of beads in each limb, add accent beads, or include daisy chain stitches or leaf fringes to all or some of the limbs. Coral fringe is worked in the same way as branch fringe, but with extra additions of beads. Start by picking up seed beads in multiples of three to reach the desired fringe length. The finished strand will be a few millimeters shorter, especially if you are using a stiff thread like Fireline. Pick up four more seed beads. Skip the last bead added , and pass through the other beads just added, and the next three beads in the trunk. Pull snug. With coraling, you can make limbs of varying lengths, with a different number of branches on each. 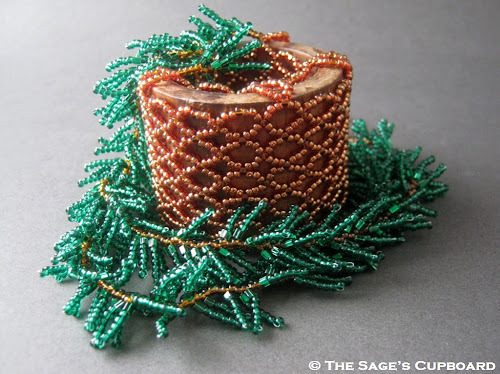 To start, pick up seven seed beads for the limb, and four seed beads for the first branch. Skip the last bead added, and pass back through the remaining branch beads, and the next three beads in the limb. To finish this section, pick up four branch beads, skip the last bead added, and pass back through the next six beads, and the following three beads in the trunk. Notice how the original branch added at the end of the fringe is now higher than the new fringe, because the new limb is longer. You can work this into your pattern, or make the first few stitches short. Whenever longer limbs are added, they will hang past the previous ones, which can make for some wonderful organic looks. When you’ve added new limbs and branches along the trunk, you’ll have a lovely strand of fringe. To make it even more lush, increase the number of beads in the limbs - in a pattern or at random. You can also work in extra limbs. 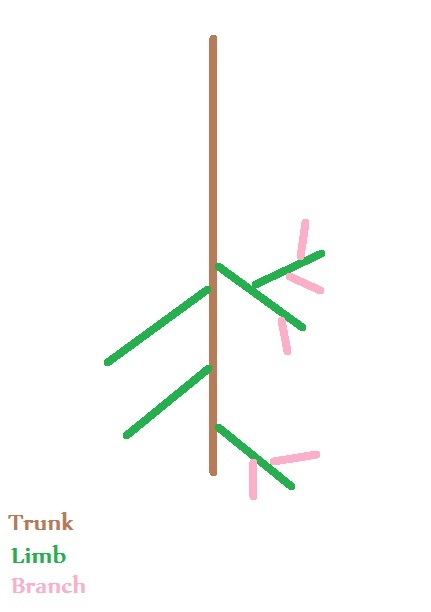 Instead of picking four branch beads, pick up seven or more beads for a new limb, and add branches as usual. Have you ever noticed that the things you are drawn to aren't necessarily the things that you like? Something tells us that an object we see is appealing, even if we know it doesn't suit us. Like when you have a closet full of your least favorite color, or recipe books for foods you don't crave. Are these items calling to us for a different reason? Perhaps all those orange garments aren't meant for your closet, but for your walls. Sometimes this can happen to us when we're bead shopping, too. 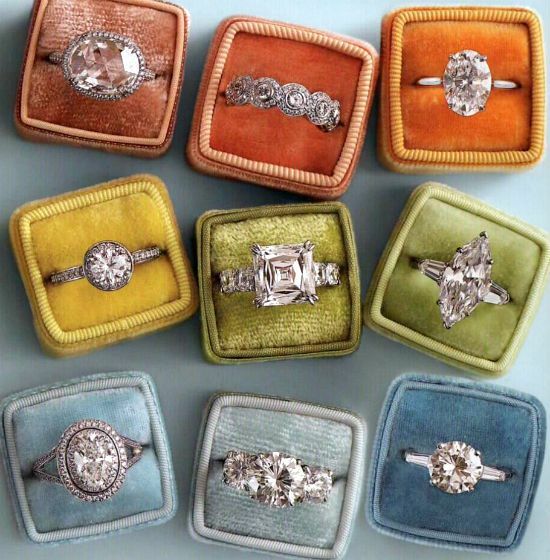 We go bananas for a new shape or color or cut, and snap them up before considering if they'll ever have a home in our designs. Sometimes, it's better just to look! With that in mind, here are just a few of the lovely things that have caught my eye on Pinterest this month. Do you have a weakness for something that is out of your 'element'?